This warm, sensual fragrance starts with honey and amber, then quickly transforms into an addictive musk. This elegant blend offers the best of all worlds—it's citrusy, sugary, and flowery. The creamy vanilla notes make the scent completely irresistible. You know the saying "Go big or go home?" This is the fragrance version of it—with bold notes that include cinnamon, coriander, amber, vanilla, and sandalwood. Patchouli usually rubs us the wrong way. But here it simply helps ground light, fruity notes, like guava and pear, to create a scent that's both sweet and seductive. With soft orange blossom and just a hint of jasmine, this scent has all the friendliness and innocence of the girl next door. Summit Entertainment has made an official introduction to the five members of the Volturi coven, Aro, Marcus, Caius, Jane and Alec, through character stills from 'The Twilight Saga's New Moon'. 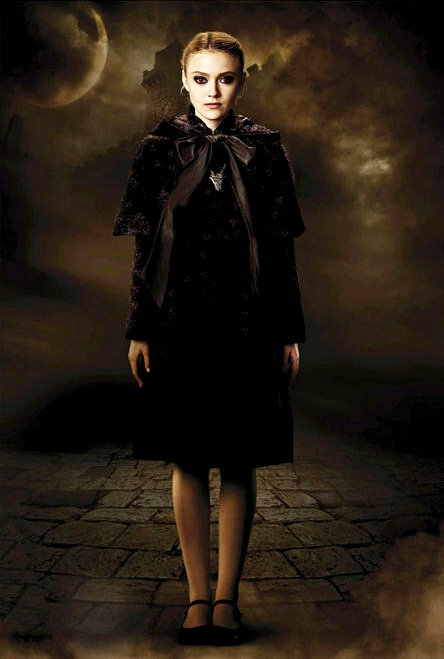 Official images of the Volturi from "The Twilight Saga's New Moon" have been revealed by Summit Entertainment. Unlike the previous picture which gave out only head shots of the coven's five essential members, these new photos capture Aro, Marcus, Caius, Jane and Alec in individual character stills. The first looks at those characters are each shared exclusively by MySpace, Moviefone, MTV, Examiner and Yahoo! Movies. MySpace brings out Dakota Fanning's Jane, Moviefone presents Jamie Campbell Bower's Caius, MTV unveils Cameron Bright's Alec, and Examiner puts out Christopher Heyerdahl's Marcus. Yahoo!, in the meantime, gives out Michael Sheen's Aro. Along with the unraveling of these Volturi members, Summit included director Chris Weitz's explanation about this powerful vampire coven. "No matter how strange one of the characters is in a work of fantasy, I think you have to approach them as people and then so you start to think, 'They've been around for 2,000 years. How would they interact with one another?' The conclusion was that after 2,000 years you'd probably be more than mildly insane. No matter how cultured or gracious you appear on the surface," so he said. "And I think that's what Michael Sheen managed to portray as Aro, the head of the Volturi - on the surface he's terribly gracious, warm, a wonderful host and at the same time he's lethal and frightening," Weitz further explained. "It's also what Dakota Fanning conveys as Jane. She's innocent looking in appearance but she's absolutely deadly." Targeting a November 20 U.S. release, "The Twilight Saga's New Moon " is penned by "Twilight Saga" screenwriter Melissa Rosenberg and directed by "The Golden Compass" helmer Chris Weitz. It centers on the personal conflict Bella experiences following Edward Cullen's abrupt departure. Robert Pattinson, Kristen Stewart and Taylor Lautner return to reprise their roles as Edward Cullen, Bella Swan and Jacob Black. 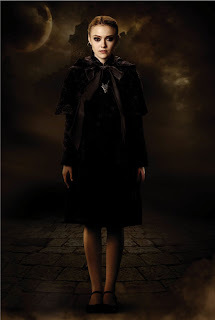 A couple of new character portraits from The Twilight Saga: New Moon, featuring Dakota Fanning as Jane and Michael Sheen as Aro, two of the powerful Volturi vampires; larger versions after the jump. Bloody-Disgusting posted Fanning; Yahoo! Movies posted Sheen. 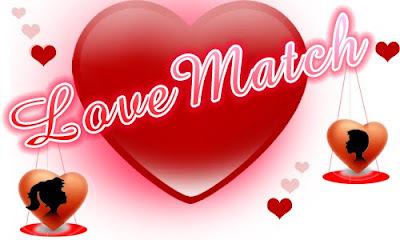 Can a fastidious Virgo find happiness with a happy-go-lucky Sagittarius? How long would you give a top-cat Leo and a balloon-puncturing Scorpio? Knowing how your sign and your lover's interact (whether he or she is an ex, a current partner or a prospective one) can give you a clue as to why you do or don't click — and where potential pitfalls lie. Simply enter your sign and your lover's below, and we'll tell you whether your romance is destined to be star-crossed or sizzling. Just remember, what's in the stars isn't necessarily set in stone. 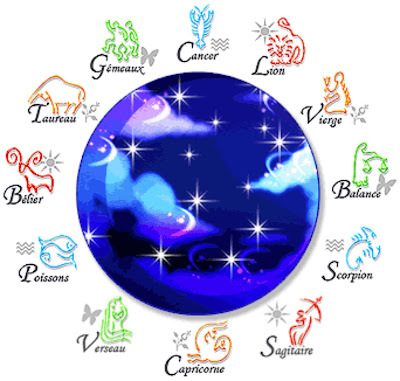 Those daily horoscopes don`t tell the whole story. 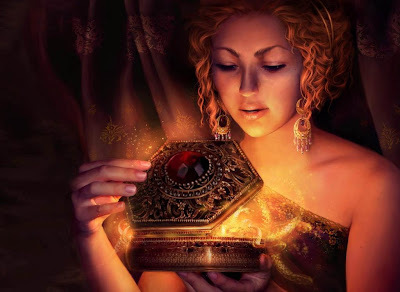 Check out a snapshot of the cosmos at the moment of your birthday and reveal the hidden forces that shape the true you. Find out what your dreams are trying to tell you about your love life, your job, your friends, your body image, your everything. Search for symbols by keyword, browse by theme or see a full list of symbols at Dreams from A to Z. A glittering minidress from Versace's spring 2009 collection recently turned up on Mischa Barton on the set of The Beautiful Life...six months after Gwyneth Paltrow wore it to the Grammy Awards. Decide who did it better, after the jump. Here's Gwyn at the Grammys back in February, accessorizing her spangled strapless mini with a pair of shimmery tights, a sparkle clutch, a slouchy gray cardigan, and some very bling-y earrings. Did she go overboard on the glitz, or was it just enough? Meanwhile Mischa was snapped on the set of her new show (which, if the early photos are any indication, is going to have some truly insane fashion moments!) a few weeks ago in the same dress. The costume designer accessorized her look with a pair of contrastingly edgy studded ankle boots and let the dress do the rest of the talking. Which look do you dolls prefer? 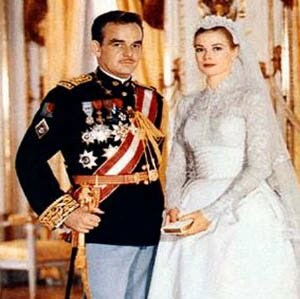 If you were going to wear this dress, how would you accessorize it? Do you like Gwyneth's more dolled-up version, or Mischa's simpler rocker chic style? Who wore it better? Discuss! 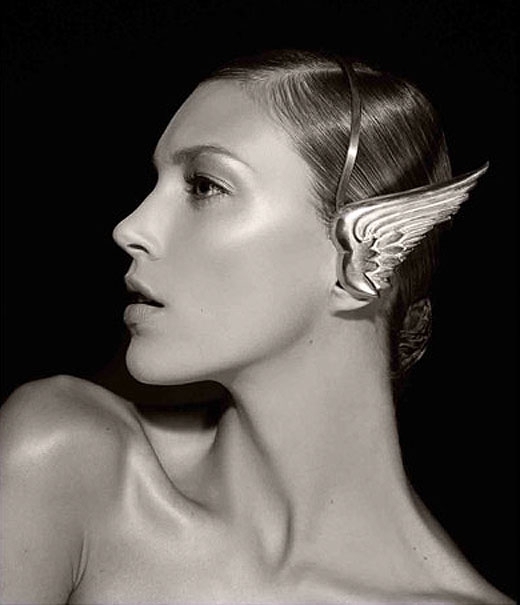 MILLA JOVOVICH has tied the knot. The 33-year-old model-turned-actress and fashion designer wed British film director Paul Anderson at an intimate ceremony with just 50 guests on Saturday in LA. 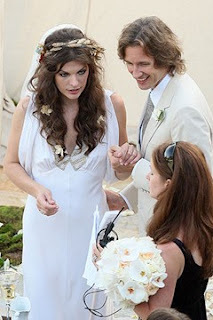 The bride wore a Temperley London gown - the long muse style - for the ceremony at which guests were entertained by Cuban musicians and enjoyed the delights of a round, four-tiered wedding cake, according to US magazine People. Together for eight years, the couple met when Anderson directed Jovovich in the film Resident Evil. They have one daughter together, two-year-old Ever Gabo. Lainey Gossip has lots of photos from the set of Eclipse with Bryce Dallas Howard and Xavier Samuel filming a kissing scene. As you can see from the photos below, Bryce is sporting a wig that looks an awful lot like Rachelle’s hair. Read the full article and see lots more photos on Lainey Gossip here. Want A Twilight Saga Star At Yoyr Party? 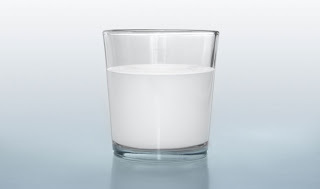 Reaching for a glass of milk or fresh produce may seem like a healthy choice. But before you pat yourself on the back, take heed: These and other food pyramid mainstays can turn harmful at the drop of a recall. Read on to see if your favorite snack or drink has made serial appearances on the Food and Drug Administration’s Most Unwanted list. 2007 marked the year of the Chinese milk scandal—a tragic case in which contaminated milk produced in China was responsible for killing at least six of the region’s children. The culprit: toxic levels of melamine, a chemical substance with a high nitrogen content that was added to diluted milk to fool quality-control equipment into believing that nitrogen from protein was present at normal levels. Globally, the deception hit hard as well; authorities from Australia and Asia to Europe and the U.S. withdrew infant formulas, coffee, tea, candies, soup, cheese, biscuits, premade desserts, and chocolate made from the tainted dairy product. Since the harrowing incident, milk has continued to appear on the Food and Drug Administration’s recall list. Just this month, a national supplier of instant nonfat dry milk was responsible for multiple recalls by brands that utilized its salmonella-plagued product. Foods that contain the instant dry milk run the gamut, from hot chocolate mixes and protein drink powders to seasoned popcorn and cake mixes. 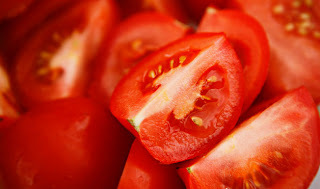 In 2004, salmonella-infected Roma tomatoes caused multistate illnesses, and last summer the FDA again issued a code red after hundreds of people nationwide became ill and even hospitalized. Though the FDA deemed cherry, grape, and vine tomatoes to be safe, many Americans still abstained; even fast-food chains like McDonald’s erred on the side of caution, pulling tomatoes from their burgers even though no salmonella had been detected in its supply. The UK has long dealt with mad cow disease, and in February 2008, the U.S. experienced a related scare after a video by the Humane Society depicted a California-based plant preparing “downer” cattle for slaughter. Though meat from nonambulatory cows puts consumers at a higher risk of contracting E. coli, salmonella, and mad cow disease—and is banned under federal law from entering the food supply—employees at the slaughterhouse were shown using inhumane practices to force weak cows to stand so they would pass inspection. In the wake of the leaked video, the U.S. Department of Agriculture recalled 143 million pounds of frozen beef. 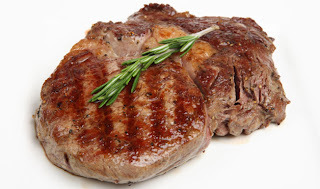 Between 2006 and 2008, there were more than 20 beef recalls in the U.S., with the most recent recall taking place in June: Right before the Fourth of July, the USDA launched a massive recall of E. coli–affected beef from a global producer. 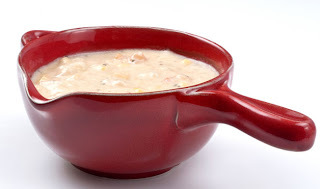 In 2004, a major canned-soup manufacturer issued recalls in seven states after metal fragments were detected in its New England clam chowder. Three years later, in 2007, another big-brand soup label notified retailers in 24 states that its Baked Potato with Cheddar & Bacon Bits might also contain hard plastic bits. Eek. Undoubtedly a superfood, packed with a multitude of nourishing vitamins, spinach, when purchased in the convenient prepackaged, salad-ready fashion, may be more harmful than it is healthful: Since 2006, when spinach contaminated with E. coli bacteria killed three people and shook consumer confidence in leafy green veggies, Popeye’s go-to snack has continued to be plagued by recalls. The most recent occurred in April, when a warning was issued for salmonella-infected spinach sold in Wisconsin, Illinois, and Minnesota. 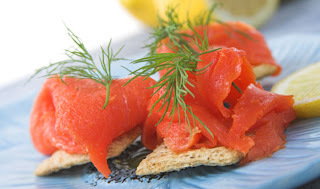 Salmon, lauded for its healthful omega-3 fatty acids, vitamins, and protein, isn’t without its risks as well. When shopping for the seafood favorite, your best bet is to buy fresh, not packaged and presliced. Over the past five years, the latter has repeatedly been recalled for containing listeria, bacteria that induces flulike symptoms and increases the risk of miscarriage and stillbirth in pregnant women. Sprouts provide the perfect garnish to a tuna or veggie-packed sandwich, but they are often harbingers of bacteria. 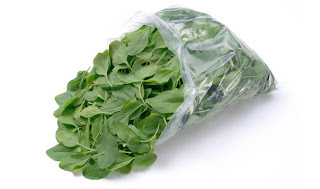 The latest recall occurred in April 2009, and the FDA investigation is ongoing. 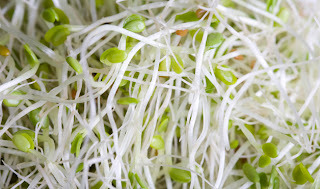 So far six states, Michigan, Minnesota, Pennsylvania, South Dakota, Utah, and West Virginia, have associated illness with salmonella-contaminated sprouts, and more than 30 cases of illness have sprouted. A snacker’s favorite, these allergens have seen ongoing callbacks. Pistachios have been making headlines recently (in March of this year, a million pounds of the nut were recalled, due to salmonella poisoning), but almonds and peanuts are the biggest offenders. The year 2004 was a particularly rough one for almonds after a nationwide supplier reported salmonella, leading tons of brands to recall their product (10 states were affected and more than 20 illnesses were reported). 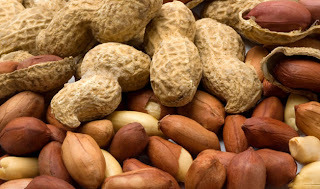 Peanuts, another miscreant, also experienced a major setback when, in January, the Peanut Corporation of America recalled salmonella-contaminated peanuts it had produced over the past six months. Since then, at least eight people have died and more than 500 peanut-induced illnesses across 40-plus states have been reported. Overall, more than 400 products—everything from peanut butter sandwich crackers to nutritional bars—have been pulled from store shelves. 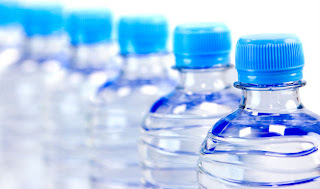 A study released by the government’s General Accounting Office this month revealed that regulation of bottled water (under the FDA's Food, Drug, and Cosmetic Act) is less strict than the Environmental Protection Agency's regulation of tap water (under the Safe Drinking Water Act). Seems that swigging Brita-filtered water from a Nalgene container is a purer way to get your daily H2O requirement than store-bought liquids. 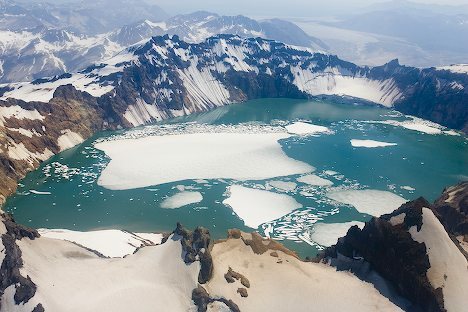 During the past five years, several bottled-water recalls have taken place: In 2006, multiple labels were found to contain dangerous levels of bromate (a carcinogen); in 2007, popular mint-flavored waters were found to harbor stomach fluesque B. cereus bacteria; and in 2008, another major brand reported a diluted form of a food-cleaning compound in its product (that same year, a second nationally distributed brand was also recalled because of customer complaints about a strange smell). In 2008, contaminated cantaloupes from a Honduran grower and packer resulted in multiple brands issuing recalls of its product. The salmonella-ridden fruit caused illnesses across the U.S. and Canada, and it’s estimated that 15 to 20 people were hospitalized. 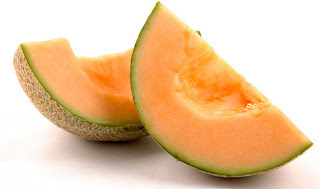 In May, another cantaloupe recall took place, albeit on a far smaller scale; cantaloupes distributed to nationwide store chain locations in North Carolina, South Carolina, and Virginia tested positive for salmonella. 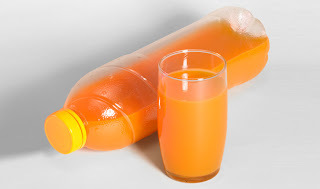 Though the incidence of food-borne botulism (a rare, life-threatening paralytic illness caused by the bacterium Clostridium botulinum) is extremely low, in 2006 a U.S.-based distributor’s bottles of carrot juice became contaminated by the bacteria, causing the FDA to issue a countrywide recall of the product, which was also sold in Canada, Mexico, and Hong Kong. The warning did not come soon enough for some, however—four people in the U.S. were reported hospitalized with respiratory failure and descending paralysis from the carrot concoction, with two similar cases reported in Canada. Even with the aid of a doctor-administered botulinum antitoxin, full recovery from botulism often takes months—a large price to pay for trying to drink healthfully. 3 Steps To Younger Looking Skin With Revitol ! Wondering why you haven’t seen the light yet? Gaudet says that many women spend most of their lives disconnected from their bodies and souls, ignoring their emotional needs and natural rhythms. “The concept of being consciously female is really just about tuning in, becoming more aware of how you’re feeling, and making choices on that basis,” she says, adding that “the more balanced and proactive you are every day of the month, the less screaming and crying will happen premenstruation.” In order to become proactive instead of reactive, Gaudet recommends embracing the feelings of introversion that accompany PMS instead of ignoring them—for example, forgetting that party (or not staying as long as you normally would), giving yourself ample time to be centered and prepared for work-related functions where you need to be “on,” and opting for more nurturing exercise (think yoga or dance) over more strenuous workouts. In giving your unconscious a greater voice, Gaudet also emphasizes the importance of journaling. “We’re so plugged into our TVs, our computers, and our cell phones that our energy is usually focused everywhere but internally, making it difficult to cultivate consciousness,” she says. “Allowing even 15 minutes, once a day, to reflect and write on a blank piece of paper can do wonders. It’s not about reading what you wrote later, assessing, or documenting anything—it’s just the process of off-loading and creating a mind-body connection.” To get started, ask yourself questions about what fears you may not be addressing and think about fond memories or favorite pastimes you haven’t touched on in a while. 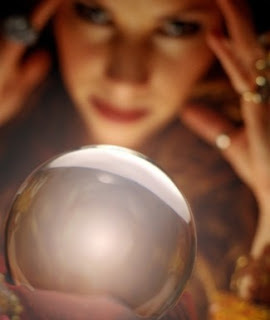 Soon, you’ll gain greater clarity and perhaps even a little clairvoyance, too—at least when it comes to your own life (opening a fortune-telling business is not suggested). Here are a few more “Meet Jacob Black” trailer screen caps from MTV. Check-out all the screen caps, including the “New Moon trailer in Freeze Frame” at MTV here. Read the full article at Just Jared Jr. here.